A Multicusine Restaurant with colourfull Roof Garden over looking the western Ghats serving south Indian, North Indian, Thandoori, chinese, Continental Cuisines opens from 6.00 a.m. to 11.00 p.m.
For people who want to dine out under open sky, we have the roof gardenBageecha. Bageecha is an ideal place to spend your evenings, to relax in open air & to experience the culinary delights in store for you. It is also suitable for parties & get together. We offer turn-key solutions to install any sort and scale of Rooftop or Podium Gardens. Products and services are all inclusive starting from protection layers, drainage system, growing media, plants and off course our very own Leakage Monitoring System which by the way is offered by only one compay (Rooftech) in entire INDIA..! On top of the PG House building we have developed the roof garden. Spending time on the roof garden is remarkable and memorable. Birthday parties and functions can be arranged at the roof garden. Aishwarya Suites renders open air roof top garden dining area where the guest can spend some quality time and relax. The guest can have their food and beverages in the roof top garden dining area with fresh breeze and a nice view. We are a most trusted name amongst the topmost companies in this business, instrumental in offering high quality array of Roof Gardening Service.We design and execute Roff Garden's on turnkey Basis. 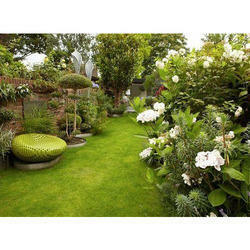 - There are a lot of other points to be considered in the case of terrace garden. - The terrace is waterproofed as mentioned in our terrace section. - The terrace waterproofing is protected by 15 mm thick base coat. - Anti root treatment is required for terrace garden. 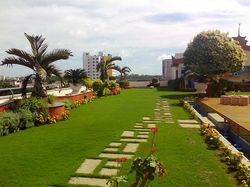 Backed by our prosperous market practice, we are occupied in providing a wide range of Decorative Terrace Garden.